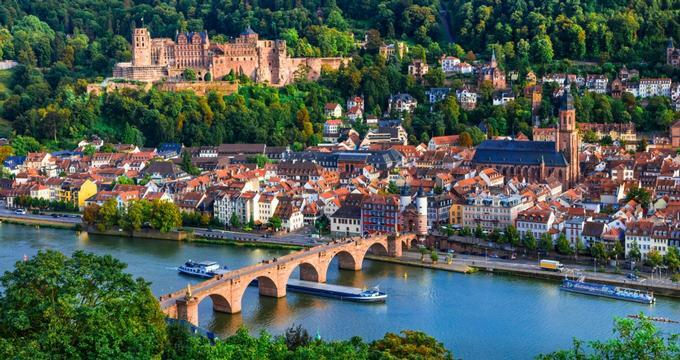 Heidelberg sits on the River Neckar in the Odenwald area of Germany's Rhein-Neckar region. 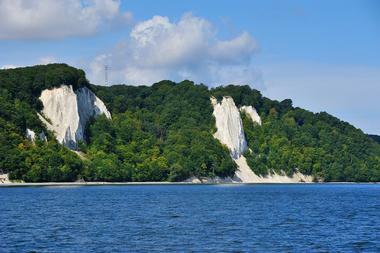 It is considered a jewel in the crown of Germany’s tourist destinations. Visitors come to be immersed in medieval history, experience unique cultural events and sights, and enjoy the beautiful outdoors surrounding the city. The historic city center is especially popular among visitors and offers a long pedestrian shopping area. Looming over the city is Heidelberg Castle which, along with other attractions, can be reached by the town’s historic funicular railway or a short hike. There is a range of options for entertainment, dining, shopping and accommodations to make your visit both comfortable and enjoyable. The Botanischer Garten der Universität Heidelberg, is a 2-hectare botanical garden owned by the University of Heidelberg. 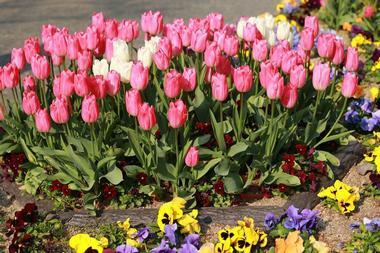 The gardens are open to the public each day. It was first established as a medicinal herb garden in 1593, making it one of the country’s oldest botanical gardens. It has moved several times but has been located at its present location on the New Campus since 1915. The garden was significantly damaged in World War II, but has since been rebuilt and repaired and has continued to grow over the years. The garden has more than 14,000 varieties of plants with a special focus on bromeliads, orchids, and succulents. Heidelberg Zoo is a zoological park that was founded in 1933. 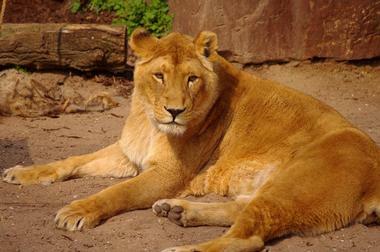 The zoo is located on the banks of the Neckar River. Animals that call the zoo home number over 1,100 and represent more than 250 different animal species. The zoo participates in several programs to increase the awareness of conservation efforts, including the European Endangered Species Program and the West African Primate Conservation Action. Each day there are family-friendly animal shows and feedings, which include such animals as sea lions, large cats, porcupines, gorillas, and elephants. The onsite zoo shop offers a selection of souvenirs, clothing, toys, and other items for purchase. Heiligenberg is a village in the Bodensee district about 3.5 hours from Heidelberg. The town sits more than 700 meters above sea level and offers tourists an exceptionally stunning view of the Alps as well as Lake Constance, giving the town the nickname of the “viewing terrace of the lake.” Nearer to Heidelberg, a mountain of the same name, Heiligenberg Mountain, offers stunning views of the city as well as interesting sites such as an amphitheater built by the Nazis, the remnants of a Celtic fortification, ruins from a cloister dating to the 10th century, and a deep well known as the Heidenloch. Königstuhl is a hill in the Odenwald Mountains. The hill stands more than 1,800 feet above the city of Heidelberg and offers visitors an amazing view from the summit of both the city and the winding Neckar River. On clear days, it is possible to see as far as the Palatinate Forest, some 40 kilometers away. The summit of the hill can be reached by taking the funicular railway, which also makes a stop at Heidelberg Castle and the Molkenkur restaurant and hotel. The mountaintop has an entertainment park, which is great for families, as well as a restaurant and a number of nice trails. 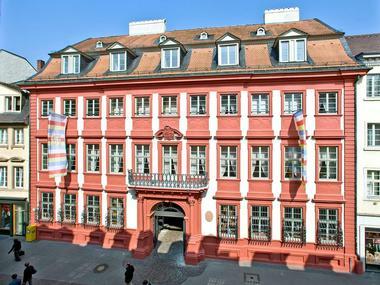 The Kurpfälzisches Museum, also known as the Palatinate Museum, is an art and archeology museum located in the Palais Morass. The museum was founded at the end of the 1870s and originally comprised the private collection of art historian and artist, Charles de Graimberg. The museum houses several interesting archeological artifacts that were found in the surrounding area, including a replica of a lower jaw of a hominid found in Mauer. There are paintings dating from the 15th to 20th centuries as well as a number of other pieces covering the genres of graphic arts, applied arts, sculpture, textiles, and historical items. 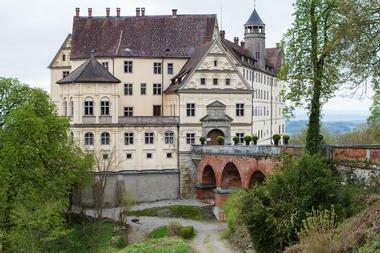 Neuberg Abbey is a Benedictine monastery built in honor of St. Bartholomew. The monastery is approximately 900 years old and is tucked away in the Neckar River valley, offering beautiful views of the surrounding Oden Forest and the river itself. Visitors are taken on tours of the abbey, which are guided by monks who will enlighten you about daily life at the cloister. There is also a brewery tour, where you learn about organic beer production, the results of which is also sold at their shop along with other locally grown and produced items. 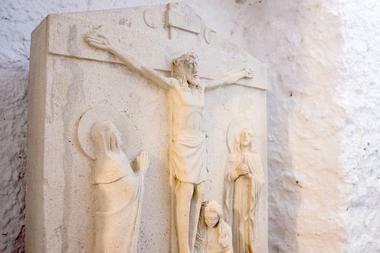 The monastery also has an onsite restaurant that serves delicious cuisine. The Old Bridge, which is officially known as the Karl Theodor Bridge, is a stone bridge spanning the Neckar River. The bridge connects the old city on the one side with the eastern section of the Neuenheim district on the other. The current bridge is the ninth to exist at this site. 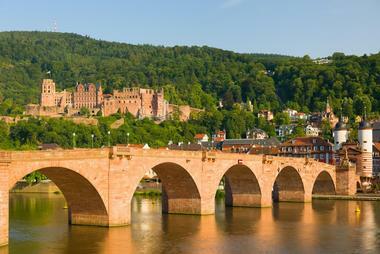 It was constructed in 1788 and remains one of the most iconic landmarks of Heidelberg. It is made from Neckar Valley sandstone and is a stunning example of stone bridge construction. A curious statue known as the Heidelberg Bridge Monkey stands to the west of city-side terminus and attracts the attention of many interested visitors. 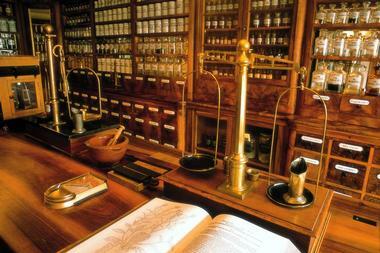 The German Pharmacy Museum in Heidelberg is a small yet intriguing museum dedicated to the history of medicine and pharmacy. The museum has a large number of interesting items carefully organized in a small space. The museum has more than 20,000 objects on display. 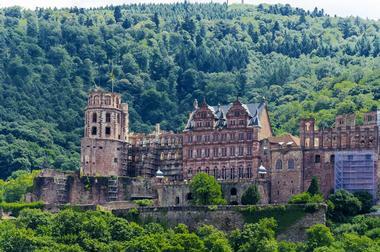 It is located at the Heidelberg Castle, which is easily accessed by a short hike up the hill or by riding the funicular railway. The museum has a multi-language audio guide, which is available for rent and provides background information about the history of the museum and the items on display. The guide is highly recommended for foreign visitors as much of the information within the museum is in German only. Friedrich Ebert was the first German democratic presidents and was elected in 1919. He played a major role in transitioning Germany to a parliamentary democracy after World War I. 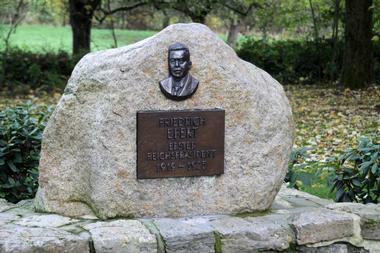 His birthplace home is memorialized as the President Friedrich Ebert Memorial. The memorial commemorates his life and work as a preserver of national unity and his key role in the creation of a democratic and social republic. The small 46 m2 apartment where the family lived is the core of the exhibit. There is also a permanent exhibit spread across ten rooms, which follows Ebert’s political life. 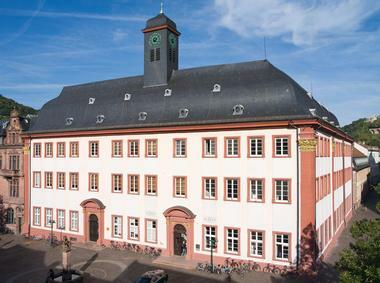 Additionally, there is a library with more than 7,000 items related to the history of Germany’s labor movement and other history from the time period. Many of Germany’s universities and other higher learning establishments once had private jail cells that were intended to punish unruly students. Rather than serve their purpose of punishment, many of these rooms became little more than party rooms and student hang-outs. The Heidelberg University Studentenkarzer has been permanently preserved in its original state. Visitors can see the original simple furnishings, such as wooden tables and iron frame beds. Of special interest are the layers of graffiti and etchings created by the incarcerated students who were celebrating their lock-up. The art covers almost every surface in the Studentenkarzer and provides an interesting look inside the minds of those subjected to this unique approach to discipline.